Larry Ellison is a brilliant man. For many reasons, but particularly for knowing the limits of his company. Tomorrow, he is going to talk about synergies between software, hardware and services as he discusses the Sun acquisition. So, Larry smartly did not force the issue within Oracle. 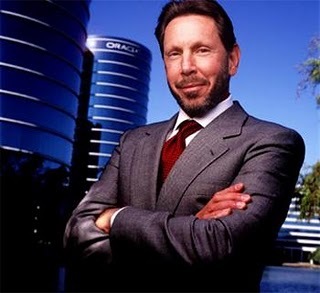 Instead, he nurtured two personal investments, NetSuite and salesforce.com which have shown the world how to integrate software with data center with application management into one contract and one SLA. And at price points the world of Oracle and SAP and IBM are still choking at.